Today, the official Zelda portal in Japan was updated with a blog post from Takuhiro Dohta, Technical Director of The Legend of Zelda: Breath of the Wild. He came to talk about the upcoming VR Mode, which will be added to the game via Software update releasing on April 25th/26th (Ver. 1.6.0). 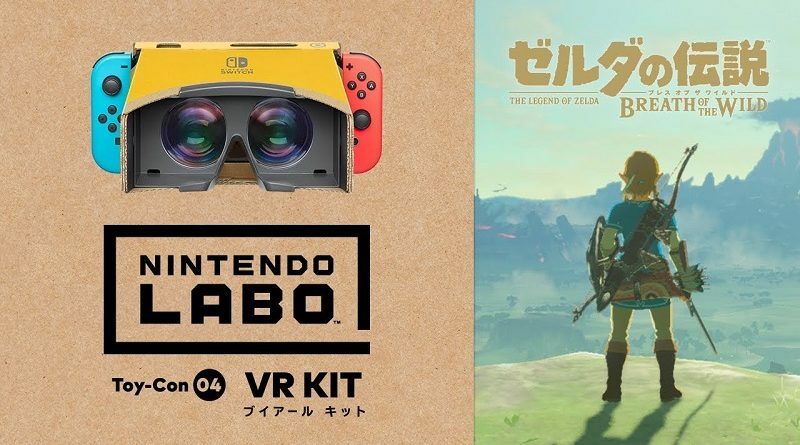 Naturally, this mode will require the Toy-Con VR Goggle included in Nintendo Labo Toy-Con 04: VR Kit. 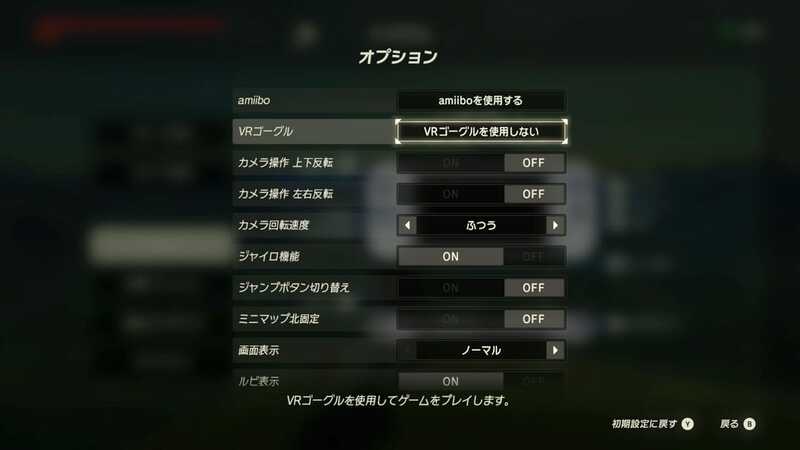 As mentioned when the update was initially announced, using VR Mode is pretty easy: all you need to do is activate it from the options (in-game), put the Nintendo Switch in the Toy-Con VR Goggle, and you’re good to go! 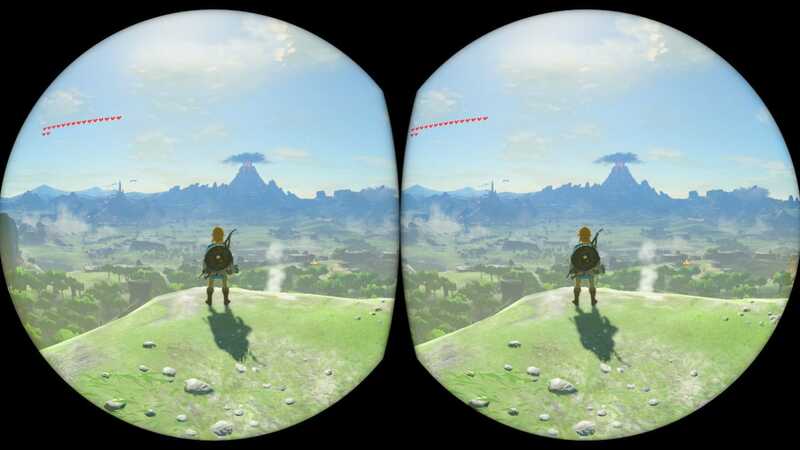 In VR Mode, The Legend of Zelda: Breath of the Wild plays pretty much the same as in non-VR Mode (it’s not like Super Mario Odyssey which has dedicated mini-missions). There’s a big difference though, regarding the camera specifically: it’s tied to the direction the players is looking in (basically, if you move your head around, the camera follows). If you’re not too comfortable with the camera being controlled via motion controls, you can turn that off in the settings too. Since you can turn off VR Mode at any time, you can play normally until you find an area of interest (scenic spot, a place with your favourite characters, etc. ), and then activate VR Mode. It’s actually how Nintendo recommends to play, as the Toy-Con VR Goggle was clearly not designed for use during long periods of time. Takuhiro Dohta explains that the concept behind this update is to allow players to rediscover Hyrule, which is why you can use your existing save file. 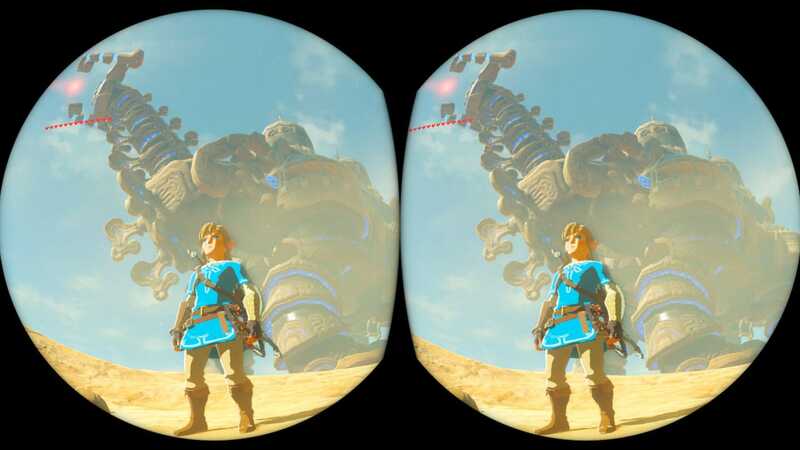 When he first come into contact with the Toy-Con VR Goggle during a demonstration from the Nintendo Labo team, he was quite surprised, and thought there was something to be done with it in The Legend of Zelda: Breath of the Wild. He wanted to go see various places, fight specific enemies, etc. However, there was a major “issue” to overcome: The Legend of Zelda: Breath of the Wild is a third-person game, where you play by watching at Link. The development team had to find a way to offer a true VR experience while maintaining existing game design (they were not going to turn the game into a First Person Adventure game, after all). That’s why VR in this game is not quite the same as VR in Nintendo Labo. Finally, Takuhiro Dohta explains that The Legend of Zelda: Breath of the Wild was designed as a game that can be played in many different ways. When the development team was working on the game, they wanted to make sure to each player would find their own way to enjoy it, especially with how you can take the console and play it wherever you want. And this time, the Toy-Con VR Goggle adds some more ways to enjoy the game!